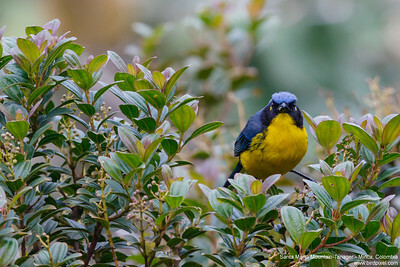 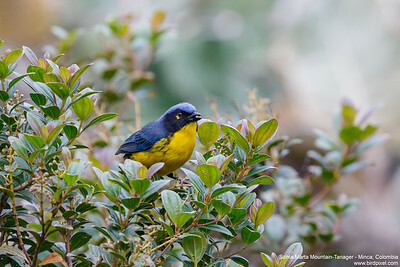 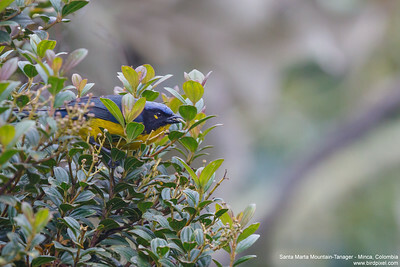 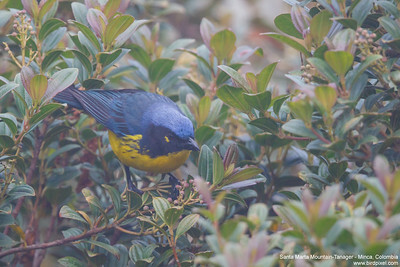 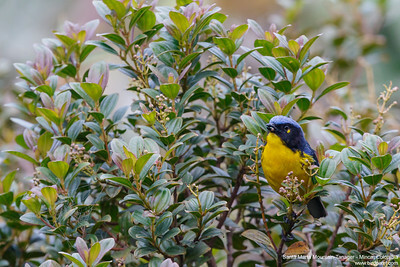 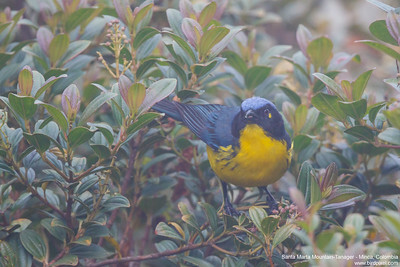 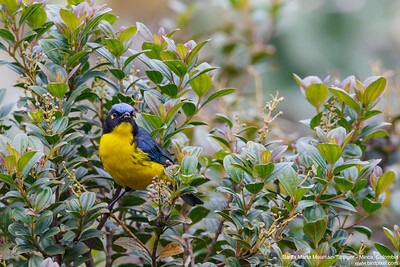 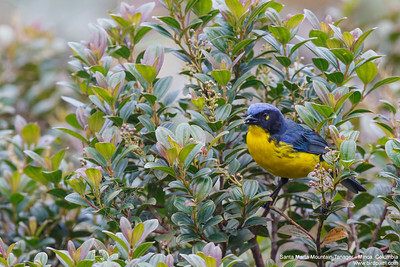 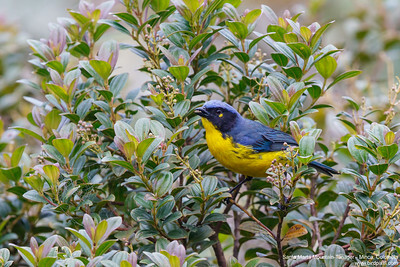 Photos of the Santa Marta Mountain-Tanager - Anisognathus melanogenys. 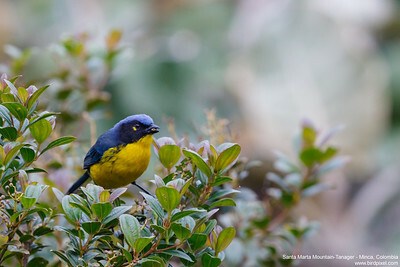 Also known as the Black-cheeked Mountain-Tananger. 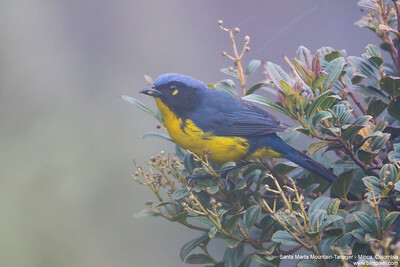 Not to be confused with Black-CHINNED Mountain-Tanger photographed in Mindo, Ecuador.